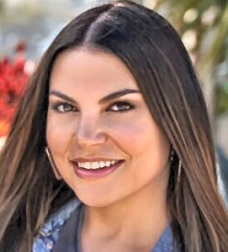 Melanie Mineau has been named as the new Co-host on the Morning Krewe with Marc and Melanie on Beasley Media Group's 99.5 WQYK-FM in Tampa, Florida. The show airs weekdays from 5:30-10am. A St. Petersburg, Florida native, Mineau spent the past three years hosting The Melanie Mineau Show, featured among the top 200 rated podcast on iTunes. Previously, she served as a co-host on the Sarah, Ty & Mel Morning Show on WRQX 107.3. in Washington, DC, and worked as the co-host and local producer of The Kane Show on 93.3 as well as a co-host on Beasley Media Group's WLLD-FM in 2007 in Tampa. "I'm excited to be back in the building and to be working alongside so many talented people, some of which are longtime friends," said Mineau. "I look forward to working with Marc and creating great content for the listeners of Tampa Bay. I'm grateful to the Beasley's and Travis Daily for presenting me with this opportunity. There is nothing better than hosting a morning show at a heritage station in your hometown!" "As we continue to build a very special team here in Tampa Bay, I feel very lucky to have Melanie back in our building," said Beasley Media Group Tampa Operations Manager Travis Daily. "She is an absolute pro that really gets how to create great content across many platforms and her work ethic is only matched by her partner, Marc. We are very excited about what the future holds for WQYK in 2019. We have the team in place to really give our community a very special live and local radio station that is catered 100% to the audience here in Tampa Bay."